We’ve all got them. Those awful things an ex said to us that still ring in our ears when we let down our defenses. Or maybe it’s the crazy thing he told you that sent you over the edge and packing for the door? Whatever the circumstances, exes say the darndest things! And we’re here to document them in all their absurdity, hilarity, or atrocity. So strap yourself in–it’s going to be a twisted ride. We hope nobody’s ever said anything to you like these. And if they have, well, submit them and we’ll turn your ex’s words into exactly what they are–comedy. 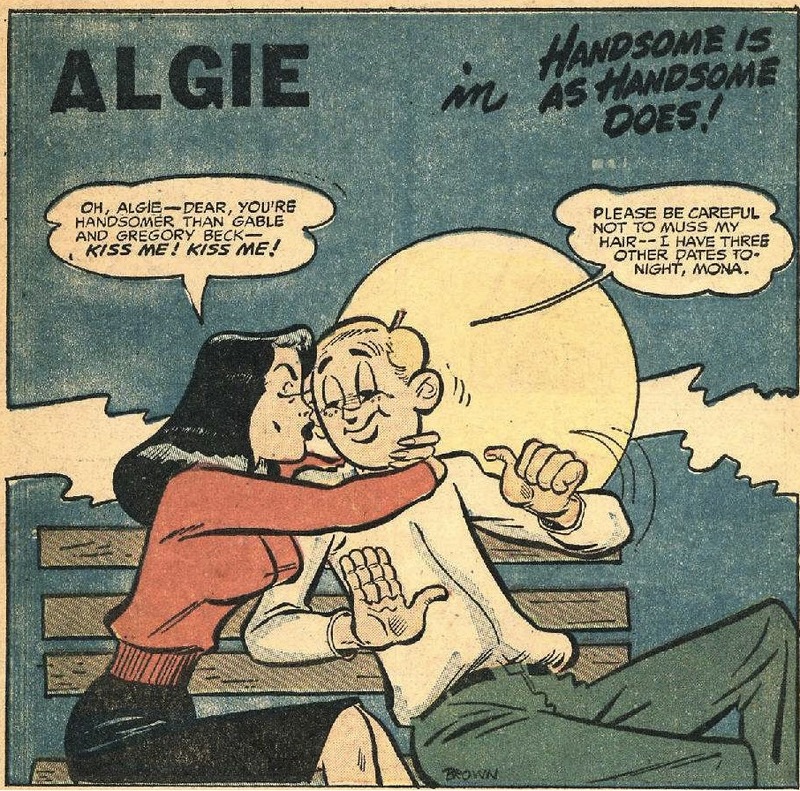 From the 1950s comic “Algie”. This and much of the artwork we feature on the site can be found on the open source comic resource website: http://www.comicbookplus.com.